This weekend, we had a taste of good weather. The sky was perfectly blue with barely a cloud in sight. It was warm. As I am once again sleeping in sweaters, and wrapped in a fleece blanket on the couch, writing this, that was a welcome change. 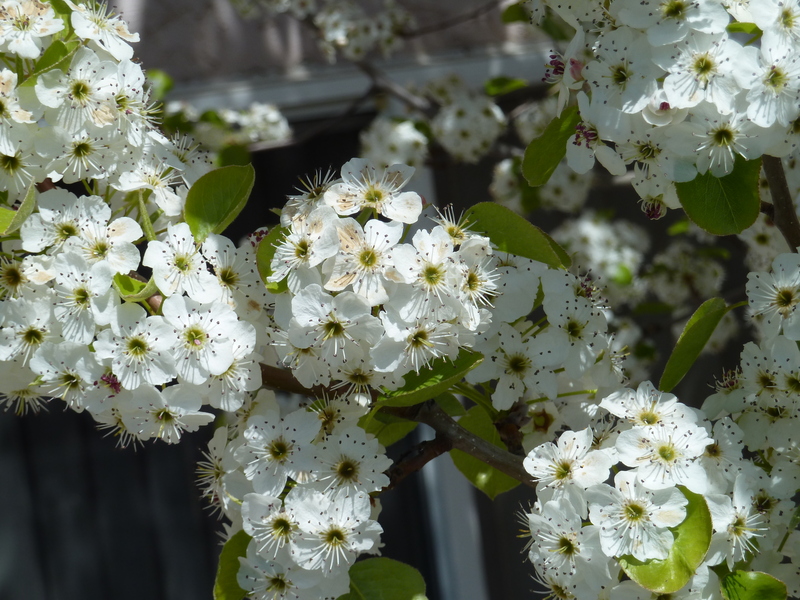 I was at my parents’, and their flowering pear tree is blooming. It sits right outside my old bedroom window, and on Saturday I went out to take a closer look at the flowers, only to discover that the tree was positively swarming in bees. There were so many bees on the pear tree that you could hear them buzzing. Did I mention that this tree is right outside my old bedroom window? Let’s hope there aren’t any holes in that window screen. For everyone’s sake. 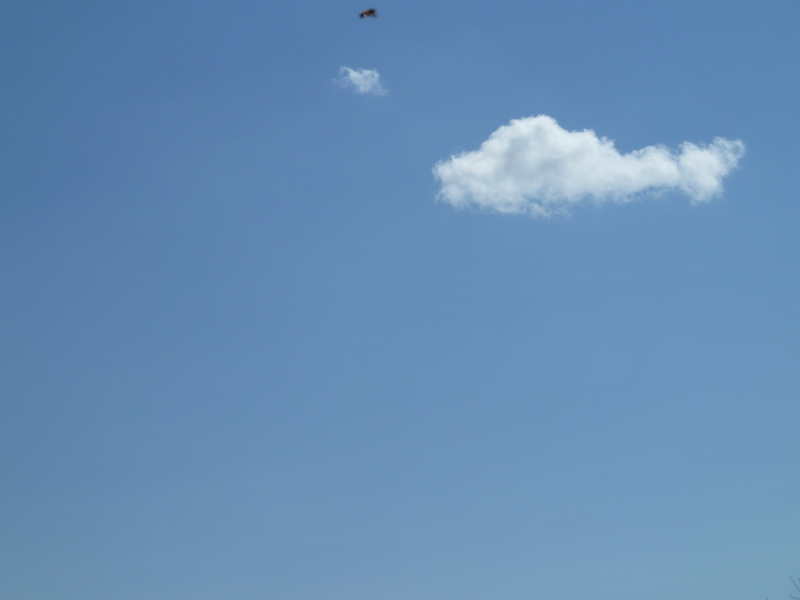 Later in the afternoon I saw this lone, little cloud in the otherwise perfectly blue sky. I went out to snag a photo, because I love little clouds drifting slowly and alone in the blue sky. That little non-cloud object obscuring the beautiful blue? A bee. This entry was posted in Stories and tagged random thoughts, spring on April 26, 2011 by ms.grammarian. that photo with the cloud and bee made me smile. and then when i read your last line i laughed. that’s the play-by-play here this morning. aren’t you glad I shared?